Happy Halloween! 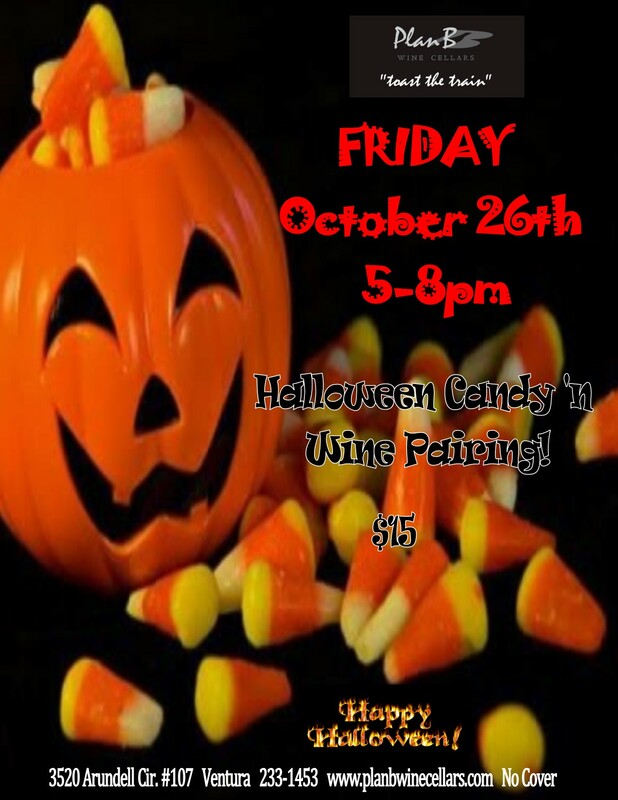 This weekend we have Halloween Candy ‘n Wine Pairing on Friday from 5-8pm. Pinot Noir & Snickers are a perfect pairing. Stop by to try the others! 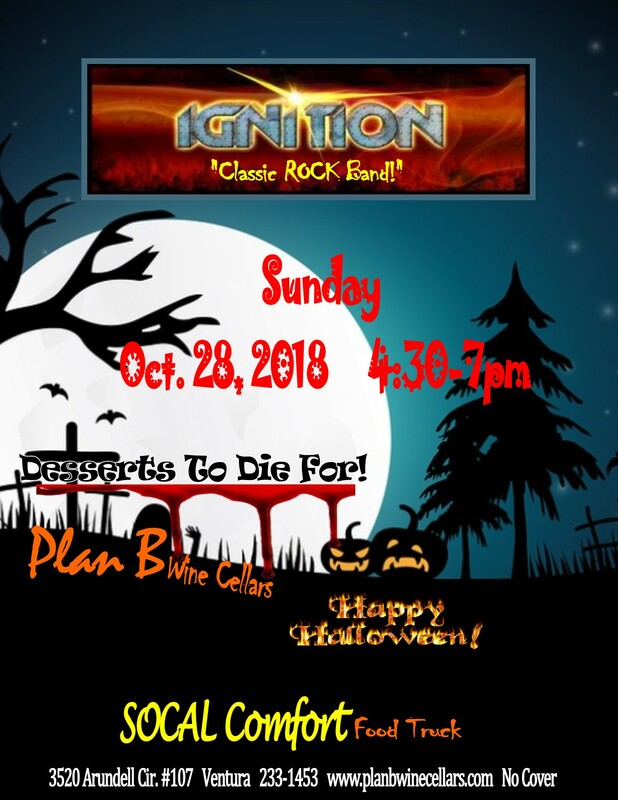 On Sunday it’s IGNITION classic rock band, West Cook’s SoCal Comfort Food & Desserts To Die For with her hearst. Lots a fun from 4:30-7pm.